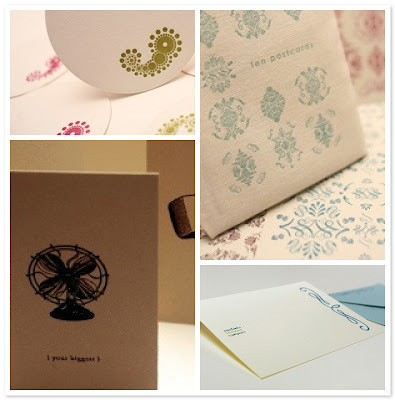 It's no secret I am a fan of letterpress stationery. If I am lucky enough to receive a letterpressed card, it is displayed for months! I love the look, the texture and quality designs. I love Gilah press ... Kat (the owner) is the gal who printed all my lovely press printed biz cards, note cards, stickers, etc. She rocks!